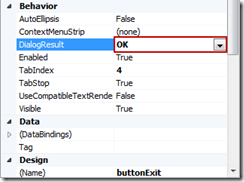 The reason the form closes is that the Button control’s DialogResult property is set to a value other than None. This property tells the form to close after the user has clicked the button without you having to explicitly close the form in the button’s click event script block. 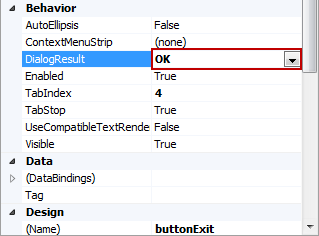 So next time you copy an OK or Cancel button, be sure to set the button’s DialogResult to None. Experience GUI programmers probably disagree, but I always set DialogResult=None & write explicit code for buttons.